After yesterday's post with all the holiday ideas.. couldn't help but get eager to get those holiday juices flowing!!!... plus being over halfway through the year already, it seems rather appropriate to start thinking of Christmas cards and project making.... so here's a wee bit of inspiration from Paula .... to help start those brain cells gear up for the festive season! And who said anything about having to always use Christmas images??? 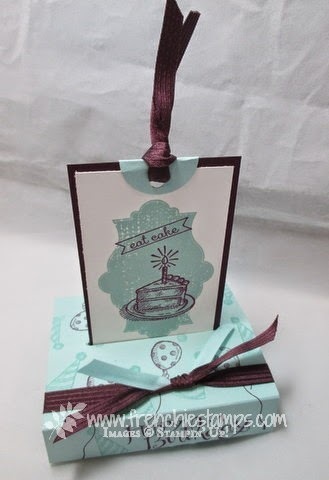 This was made using two new products instead... the photopolymer stamps and letter framelits! The "& Bright" image is stamped with the photopolymer alphabet set called Back to Basics Alphabet. 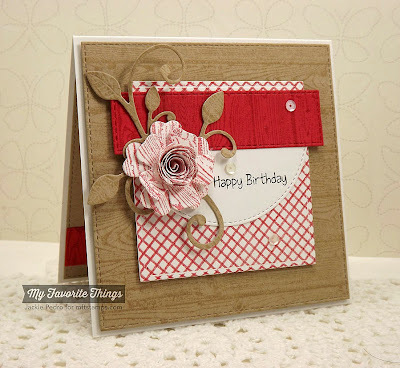 You don't have to guess or even use a stamp-a-ma-jig because you can see exactly where you stamp! 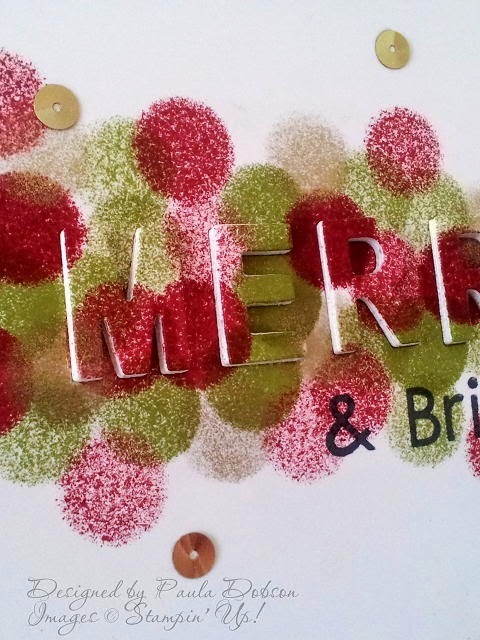 Before using your Little Letters framelits, use a sponge dauber to daub Cherry Cobbler, Old Olive and Gold ink over the card front, just through the middle. I love the fuzziness of the dots! Then line up your framelit letters to spell MERRY and run card front through the Big Shot. Now are you in the mood for holidays to begin???? there's lots of great Kits they've put together..
which will make for some great classes to host in the Fall! I'm almost ready to get out all my holiday decorations! A Rose By Any Other Name... is what? ... well a Rose made by Jackie! And here's some adorable cards ... not sure if these are really roses.. but you know what I mean! 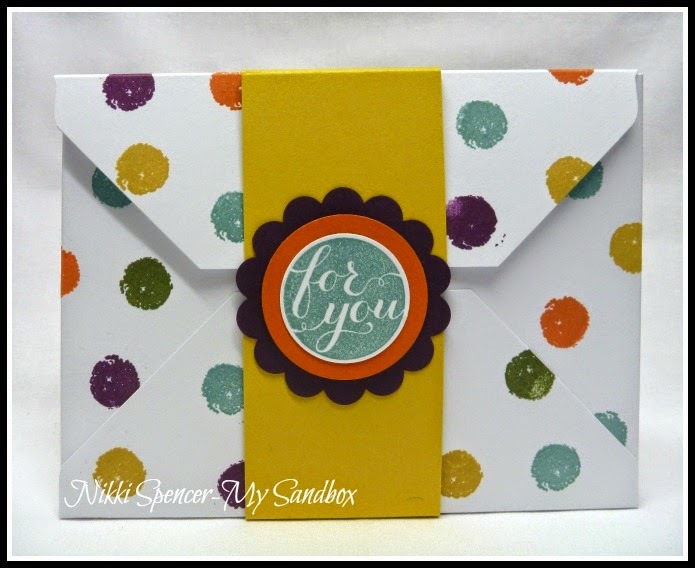 My Stamp-a-Stack class on August 23rd is nearly full... if you want to attend you'll need to register asap to get a seat! 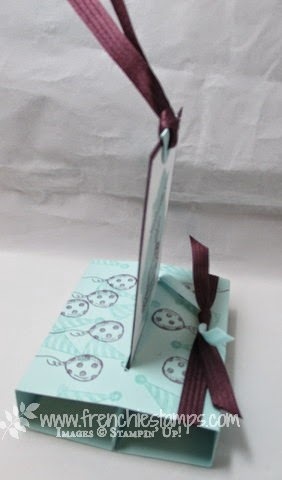 it's a super cute pop-up card! Remember, ya snooze, ya lose! It's official.... 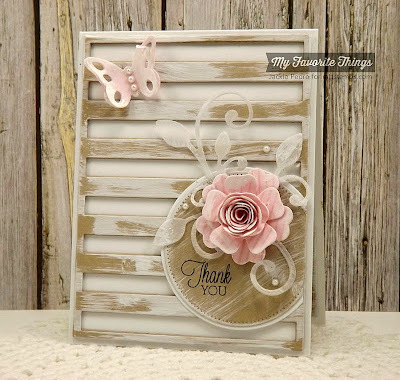 Flower Patch could very well be my new fave stamp set..... 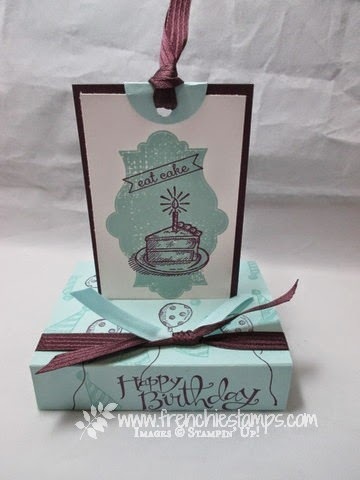 I am loving all the new photopolymer sets... sooo easy to work with ... it inks and stamps beautifully and makes it so easy to do the two-step style of stamping! 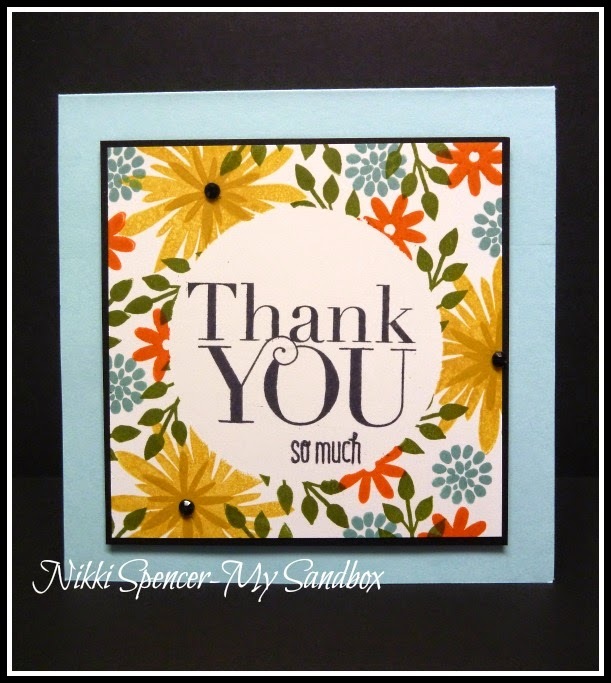 Another wonderful idea from Nikki Spencer! 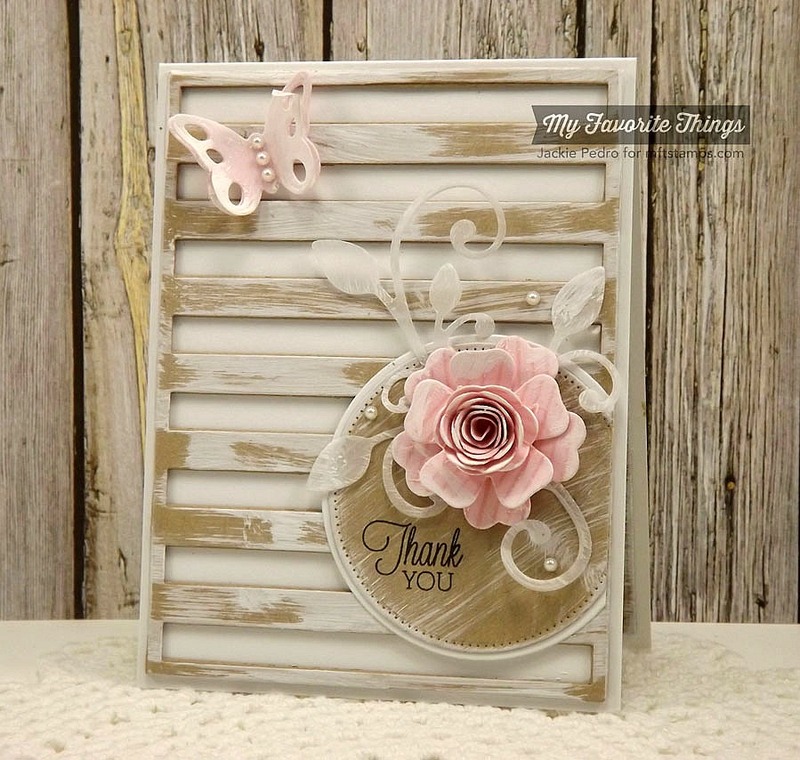 These floral images make it so fun and easy to create your own DSP!! 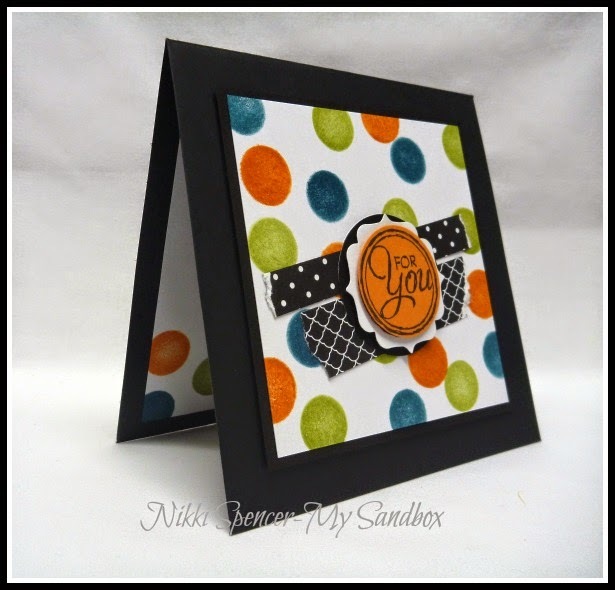 To create the card, mask off a 2 1/2 inch circle and randomly stamp, making sure to cover most of the edges to form the frame. Add greeting in the clear circle center and voila!.... so easy to line up when you can see through to where you want to stamp. And don't stop there... you know you've got all kinds of things stored in those black holes around the house you can stamp on to decorate.. such as memo blocks and notebooks and even old calendars! 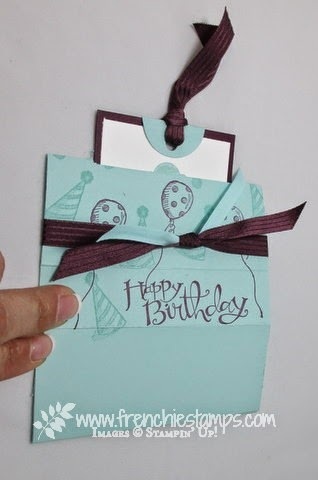 Makes a cute quick and easy gift for anyone!!! Woohooooo.... it's party time for my awesome sister Claire! 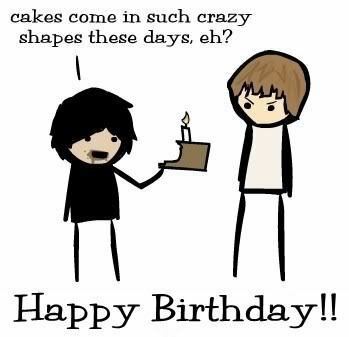 Happy Happy Birthday sweetie.. I'm so grateful to have such an amazing sister, and better yet, best friend. 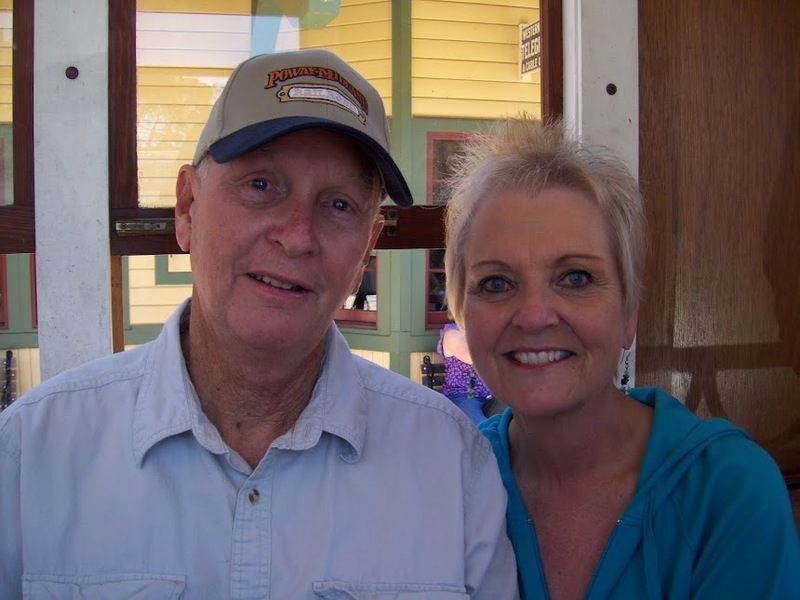 I love you so and thank God for you every day! You know I'm a sucker for polk-a-dots! I know many of you are too! so take a look at this darling idea from Nikki Spencer... actually it was a "mistake" she turned into good... see I told ya there's no such thing as a mistake! Seeing spots before your eyes?? This is one of those cards that just evolved from a colourful mess! 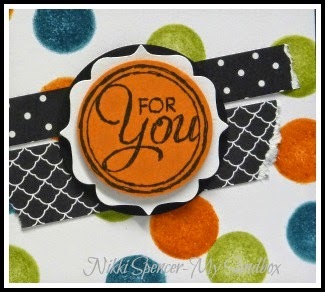 With the addition of some DSP scraps and a sentiment from Chalk Talk, she turned it into a fun and colorful creation. I'll say it again, there's no such thing as a mistake! using the new DSP papers! love the matching mini clips! I just couldn't stop making them..
this way they can be ready to stamp for any occasion as desired. no words necessary to describe that sentiment! Hope you can attend the class! So how many of you love working with Crystal Effects? I sure do... cuz it just gives a great 3D element to your project... and look what else I found out from Deb Valder that you can do... yep.. you can color them with the new Blendabilities pens.... too stinkin' cute! cloudy because they were just made and still wet. When dry, they become clear. Now take your Blendabilities and color... Voila! cute but potential to be even cuter! Tah Dah.. see what I mean??? See how they are raised? Reminds me of Forrest Gump! 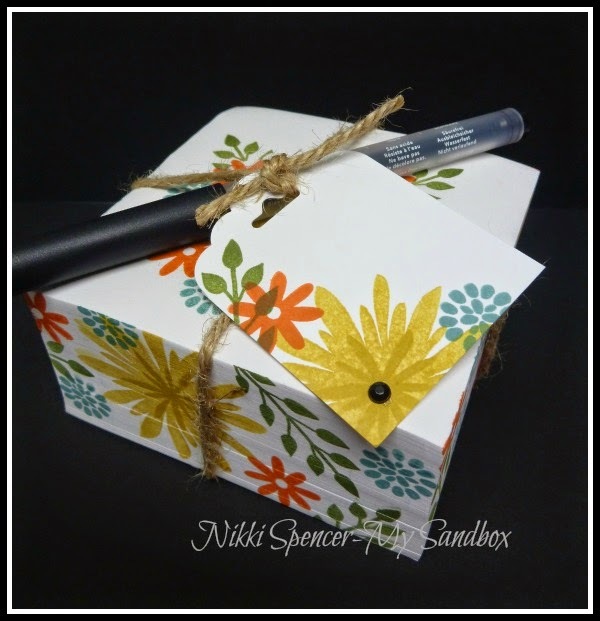 for the flower centers and sunshine! Kinda Eclectic and Think Happy! Let's all play this game! My Kind of Coffee (Cup)!!! 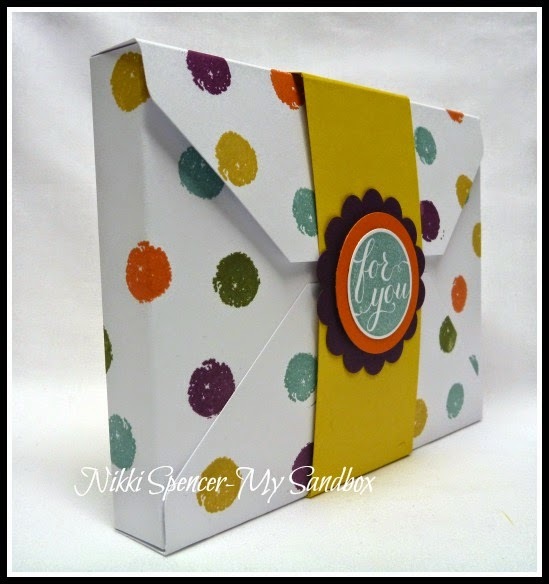 Fussy Cutting Tip & More! Poway Cruisers at the Fair! Stay-cation with my Surfer Dude! Buy 3 DSP Get 1 Free!